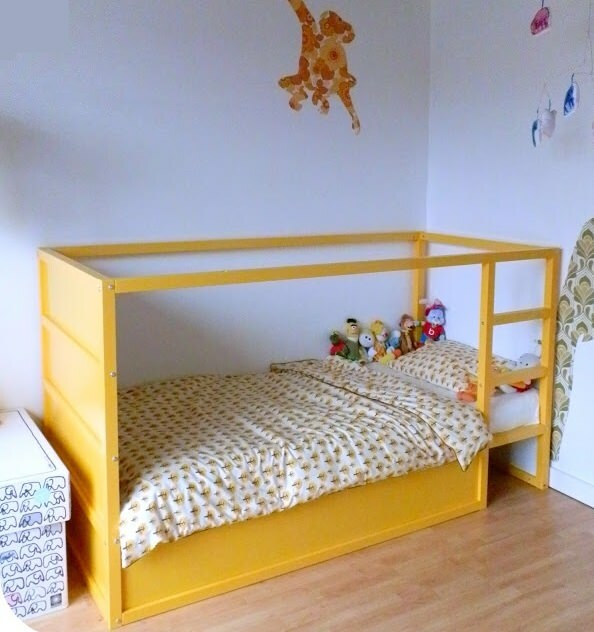 How functional bunk beds for kids are! If we choose one of these great designs we will have the perfect options for a shared room for siblings. Kids save space and kids find them really funny. They consider them a great place to dream during the day and also at night. Firstly, we have a beautiful design, one piece that seems to be their play area and we are sure they are going to use it like that. It has shelves but it’s an open concept to make them feel more comfortable. 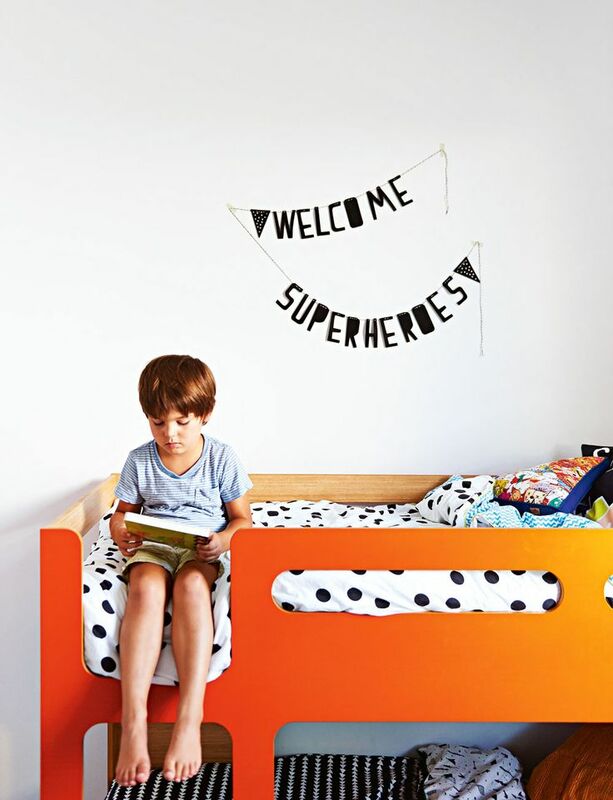 It’s a creative and original design for kids’ room. 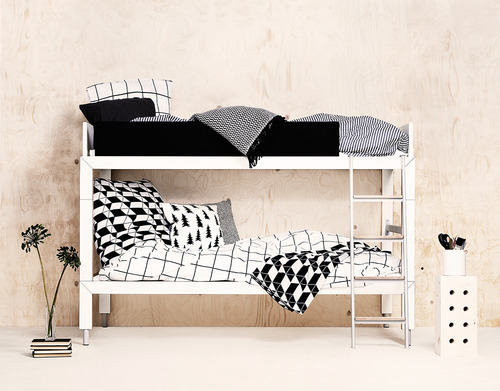 This bunk bed shows a minimalist style with a grey tone with can be easily matched with trendy pastel tones. 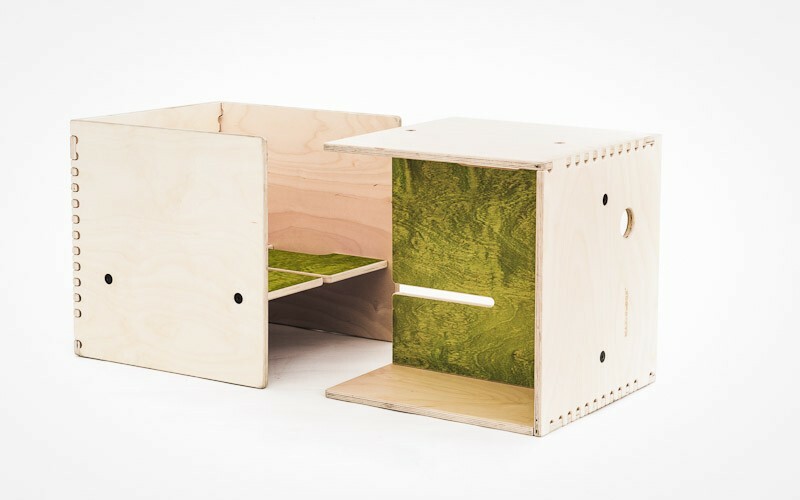 This kind of models proves that less is often more and that the piece itself can be a perfect decorative piece so you only will need some plain textiles and kids’ posters. 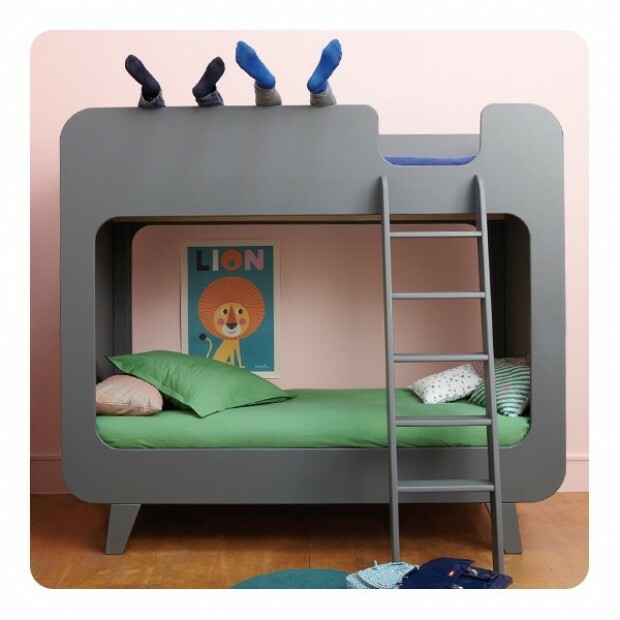 Maybe you know this bunk bed from Perludi. 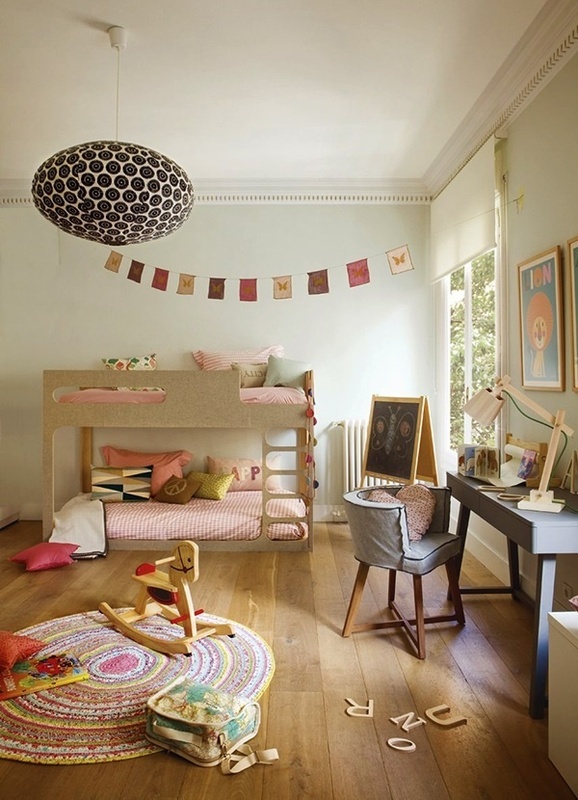 They are ideas to use the kids’ room space in a stylish way which will be loved by kids. There are lots of different designs so you will always find the perfect one for your kids’ room. 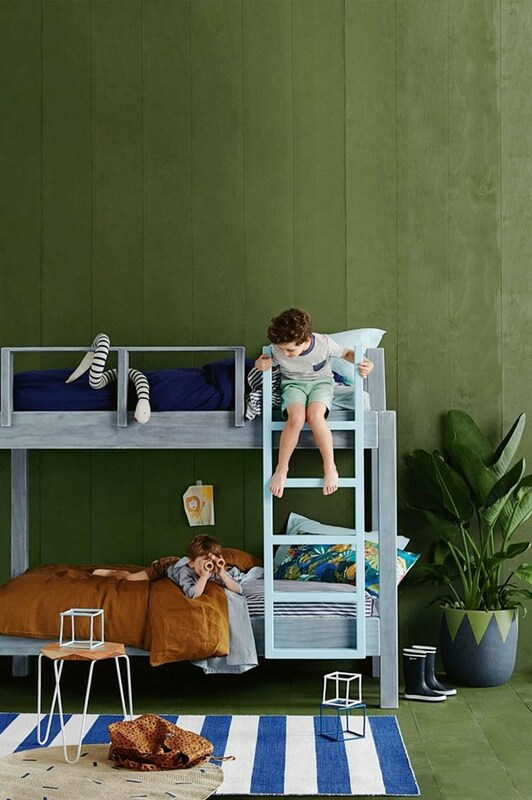 Wooden classic styles are always in but if you want to add a modern touch you can always paint the furniture with cute tones suitable for your kids’ room, like this bunk bed with blue tones. 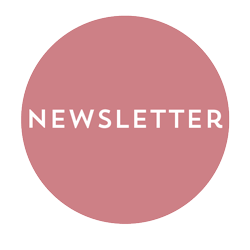 Beach and tropical motifs are great, especially if we want to update their room for this spring. 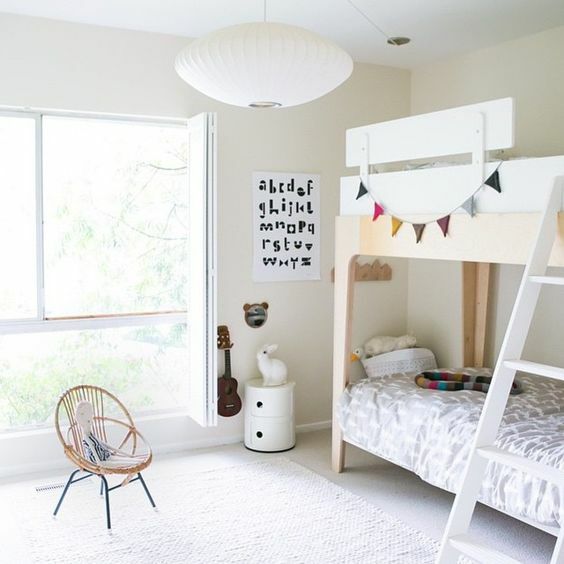 This room with white tones includes a simple bunk bed for kids in natural tones. Of course, they have decorated it with a cool colourful garland. This model is great because we can obviously combine it with the simple addition of textiles and details like the garland to complete it. 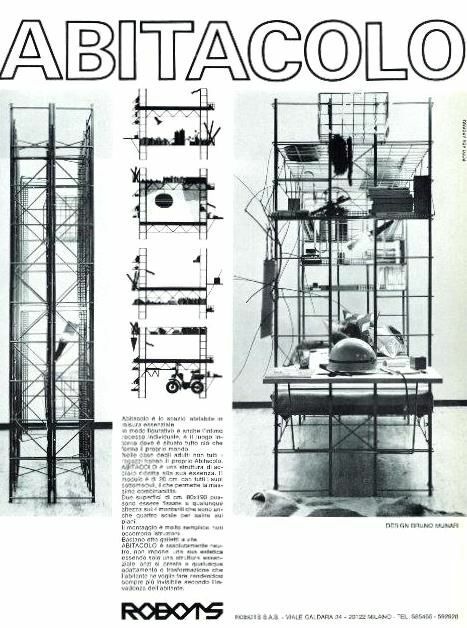 Traditional metal bunk beds, those which we can find in functional spaces, can also be nice. White tones are important to avoid a cold effect, if we add kids’ textiles it will be even better. Bunk beds don’t always have the same layout, one over the other. 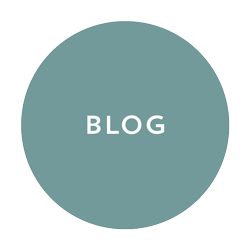 Nowadays, kids’ furniture shops offer lots of ideas. We know that they always want the upper bed but this idea “opens” the bed at the bottom so maybe they like it more. In this way, we have a little space for a bedside table or a shelf. 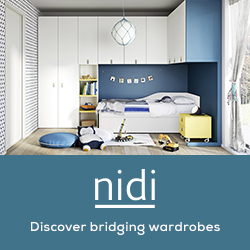 If you want a bunk bed for kids’ room, take a look at every single option because there are lots of cool furniture pieces.